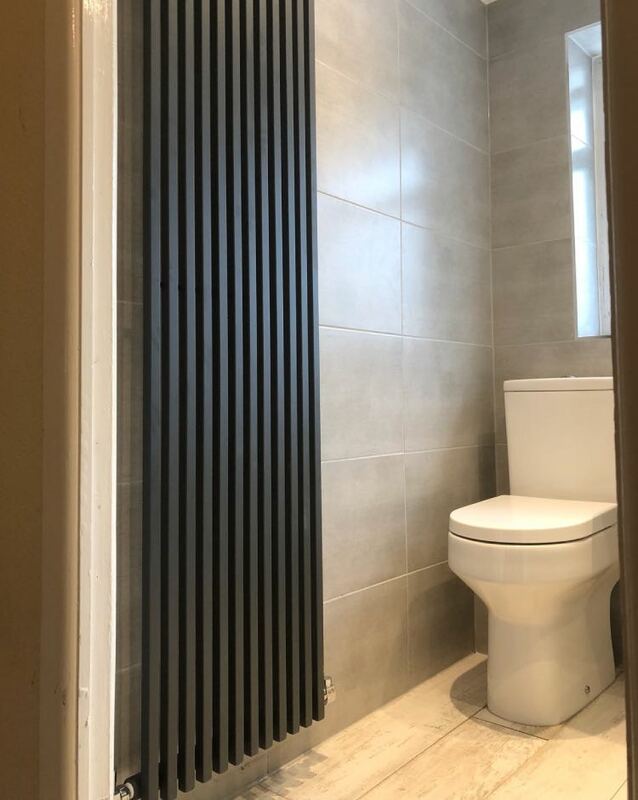 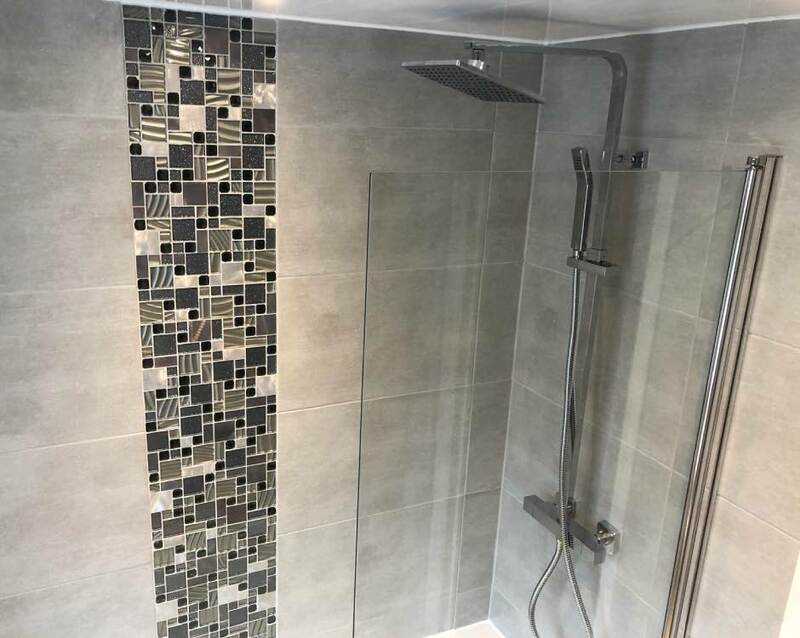 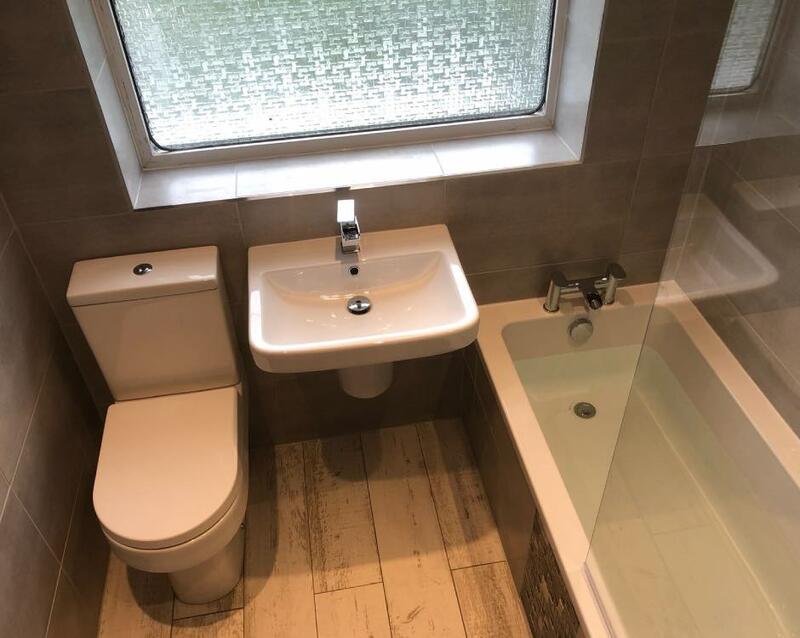 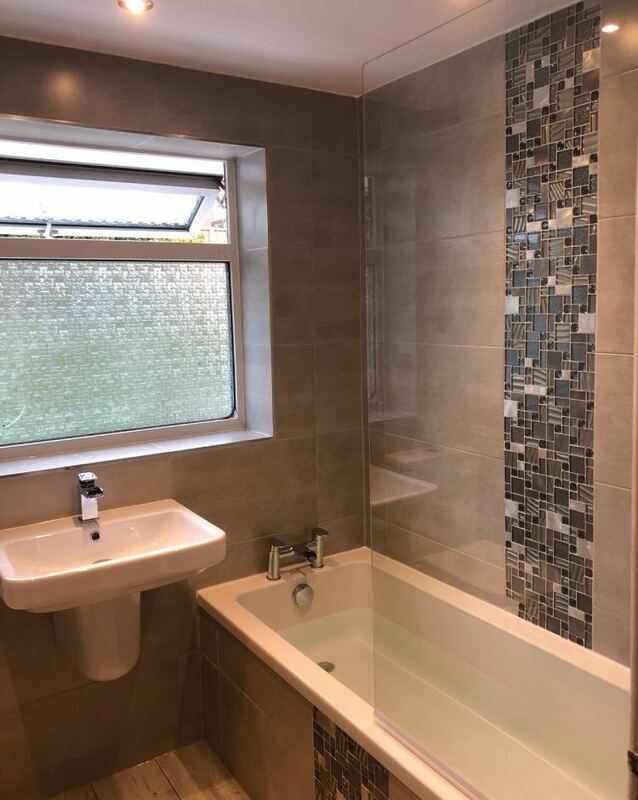 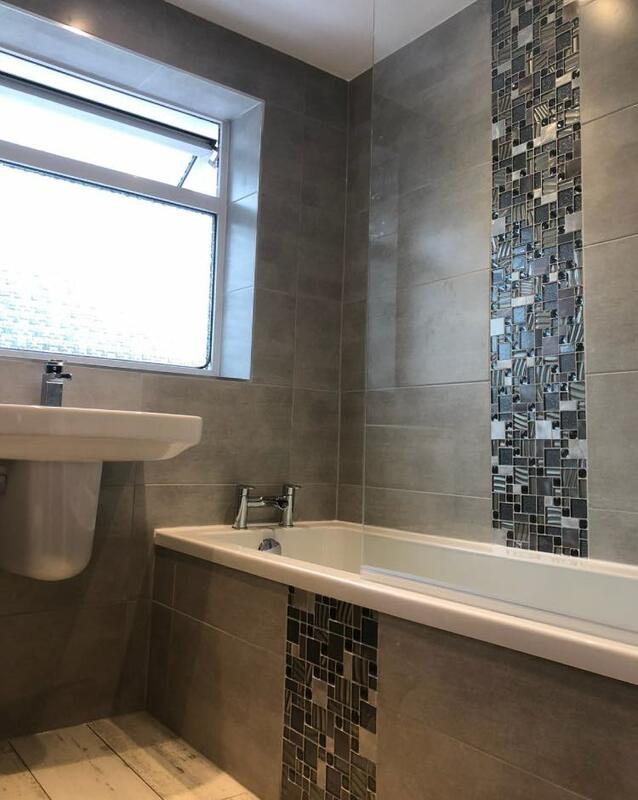 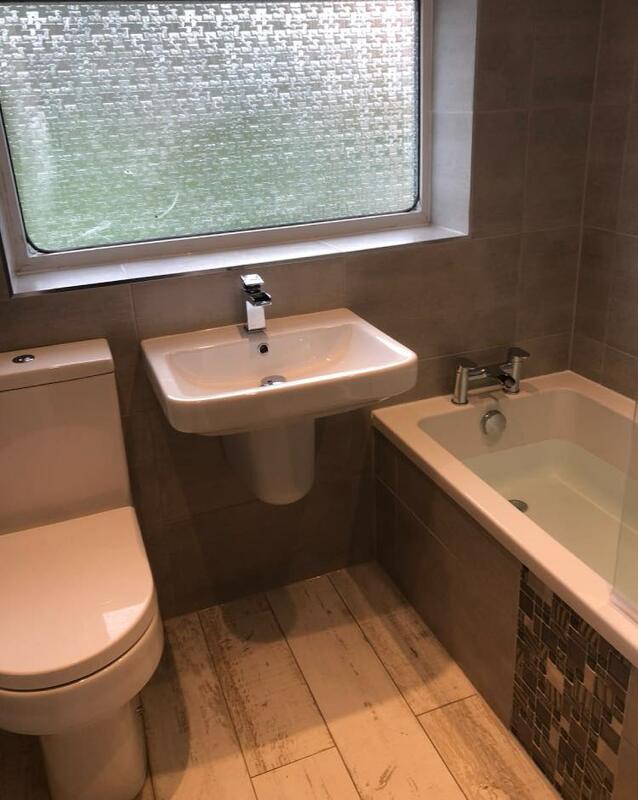 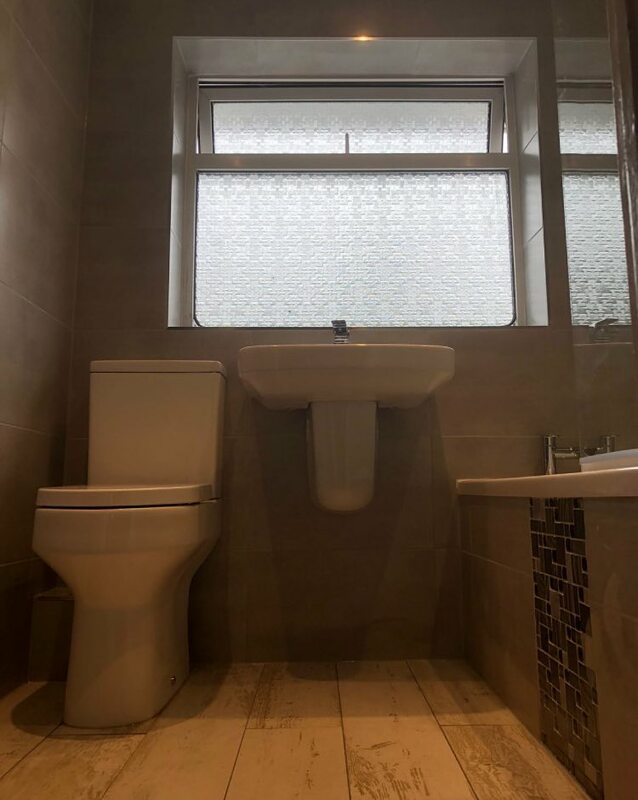 We recently completed this bathroom renovation in Royton. 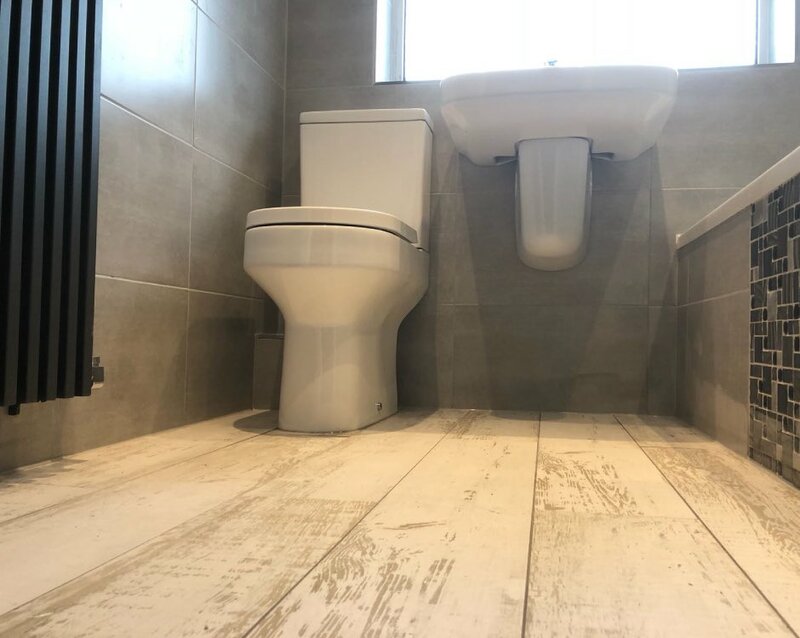 Completely ripping out the old bathroom and installing new modern units. 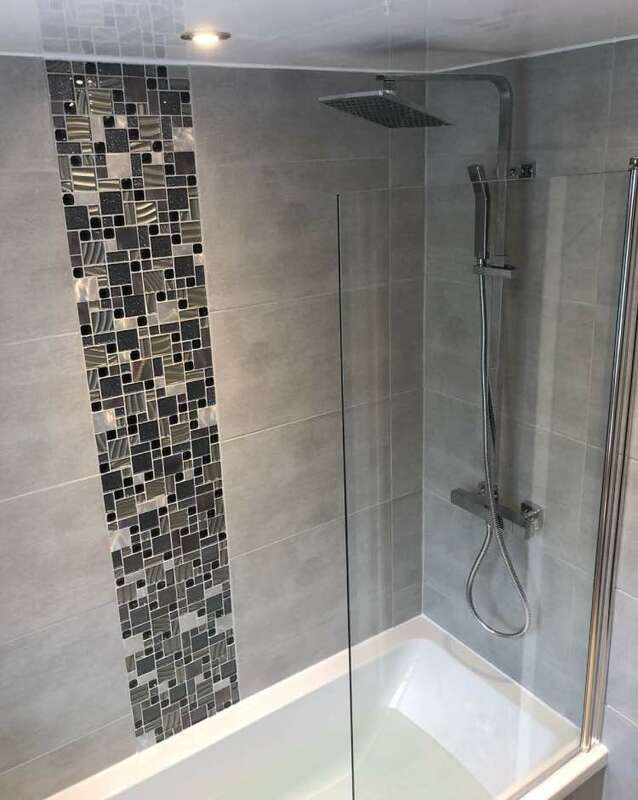 We also created a very cool tiled design on the wall around the bath and installed a ceiling high radiator.